America in the 19th Century. By passing the Pacific Railroad Acts through Congress, the US government opened up the interior of the continent to a number of railroad companies. The race was on to cross the Great Plains and the Continental Divide and create a truly united Unite States of America. You are the head of a small railroad company on the East Coast, competing with rival companies to expand your rail network to the west. 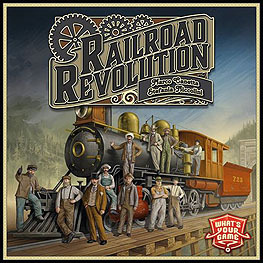 The Railroad Revolution has begun!